January and February are always difficult months to think of baking topics. This month we settled on a cheesecake theme. Baked cheesecakes are big here in Germany, so Greta gave me a a traditional baked German cheesecake recipe, known as Käsekuchen. I know cheesecakes aren’t traditionally British but when I moved here I was shocked to find a lot of German’s had never heard of a no bake cheesecake. I let Greta choose her own flavour, as there are so many recipes and flavour combinations out there… make sure you head over to her lovely blog to see what she chose to bake. I would definitely like to try a slice! 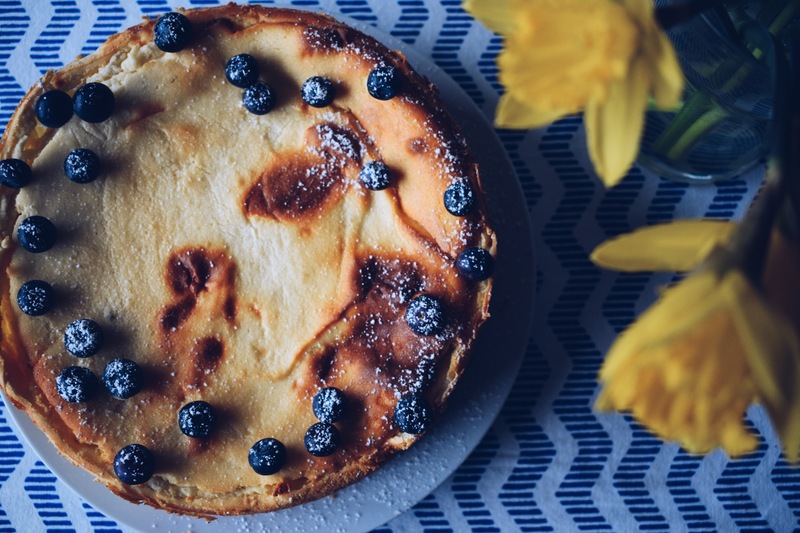 A traditional German Käsekuchen has a biscuit base and the filling is a mixture of quark, cream, eggs and normally flavoured with a citrus fruit and vanilla. In my short time working in a bakery we use to bake a traditional one as well as cheesecakes with cherries, cooked apples or orange segments placed on the biscuit base before being covered with filling and baked! 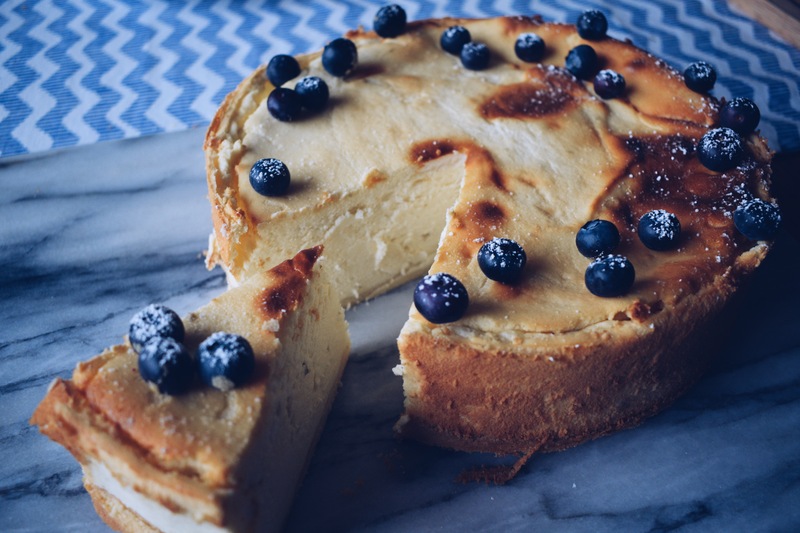 The end result is a deliciously creamy cheesecake with a firm texture. I ate mine with blueberries which was a lovely contrast! Make sure you check back next month for another Food Exchange! We always love to hear your theme suggestions! I hadn’t tried a cake made of quark before I moved here, I really like it though! ← Here comes the snow!